Teaching children social-emotional skills is one of the greatest gifts you can give them. After all, few skills increase their confidence, social competence, empathy, resilience, and self-esteem more because kids need them in every area of their lives. So what’s the problem? It’s this: today’s teens would rather text than talk. Girls spend (on average) more time on social networking than boys and send more texts – about 100 a day. Common Sense Media surveys also show that the average eight-to 17 year old is plugged into some kind of digital device at least 7 and a half hours a day. And you don’t learn social-emotional skills by facing screens. The single predictor of healthy emotional interactions is lots of face to face communication. [Clifford Nass] Kids who spend more time interacting via a screen than in person do not get sufficient practice in observing and experiencing true emotions and developing crucial offline skills of social and emotional intelligence. What’s more, face to face communication is the best way to help our children develop empathy. Without those skills our kids are less equipped to successfully navigate their social world. Do make sure you are striking the balance of unplugged vs. plugged in times in your home. Ensure that you have sacred, unplugged family times so you can all enjoy one another in REAL time! We also know that many kids have difficulty reading emotions. Duke and UCLA are just two of the many universities researching ways to help children diagnosed with communication handicaps. The good news is that you can improve your child’s communication skills and boost his or her emotional intelligence. Here are eight simple ways to tune up our kids’ social emotional intelligence so they learn to communicate face to face and reap the joy of real (not virtual) relationships. Attentive listening keeps the lines of communication open so that your children always feel comfortable sharing their thoughts, feelings and experiences with you. You discourage your kids from expression themselves when you cut them off, deny their feelings, lecture, order them, roll your eyes, shrug your shoulders, raise your eyebrows, frown, turn away, or shake your head. (Woah, eh? Not to send you a guilt trip but… do tune into your communication skills a bit closer, and beware of how influential you are). Sending and receiving nonverbal messages through body language enhances your child’s social and emotional competence. Often kids don’t listen to your words as much as they watch your posture, gestures, and facial expression, and hear the tone of your voice. Help children understand that their body posture, facial expression, and voice tone send messages and that if they don’t interpret or send nonverbal messages correctly, serious misunderstandings occur. 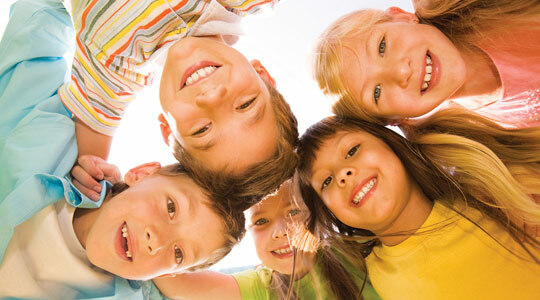 Using the skills of eye contact and smiling increases children’s social success. As you talk with your child, use eye contact. Whenever your child displays a great smile, point it out! By reinforcing these skills and modeling them regularly, your child will soon be smiling more and using eye contact. Hint: Eye contact (or looking at the person) and smiles) are the two skills that are also the most commonly used traits of well-liked kids. They are also easy to teach and reinforce. Point them out in others! Collect pictures of facial expression in a scrapbook. Include the six basic emotions: happy, sad, angry, surprised, afraid, and disgusted. Now make a game of naming the emotions by asking, “How is this person feeling?” Help your child predict the body language and voice tone that would accompany each expression. With your child, watch other people’s faces and body language at the playgound, park, or shopping mall. Try together to guess their emotional states. 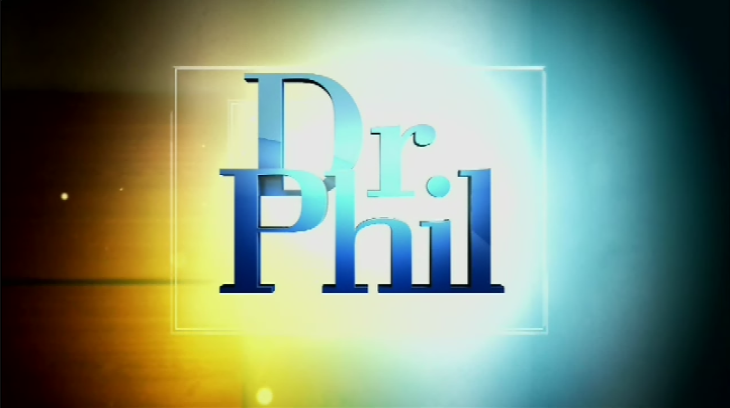 Turn off the sound on your TV and watch a show together. Guess how the actors feel based on what you see. Don’t assume that your child is picking up the subtle clues of body language. Point them out. Role play them together. Tension behaviors to watch for include blinking eyes rapidly, biting nails, twirling hair, clenching jaws, and grinding teeth. Withdrawal behavior include folded arms, crossed legs, rolling eyes, and not facing the speaker. Expressions of interest include nodding, smiling, leaning into the speaker and standing or sitting close to the person. A fun game is to have family members play charades using only their face and body. Try to guess the person’s emotion. Be on the alert for people demonstrating good listening habits; point them out to your child. The better your child understands what good nonverbal listening behaviors look like, the greater the chance he will use them on his own. Learning these skills takes practice. At home, provide opportunities for your child to practice a wide range of communication skills, enabling her to get her point across more confidently in the real world. 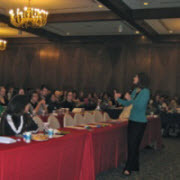 Just remember: it’s never too early–or too late–to enhance communication skills nor social-emotional competencies. The key is make sure face-to-face interactions become part of our daily lives. 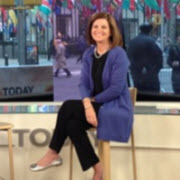 I am an educational psychologist, parenting expert, TODAY show contributor and author of 22 books including The Big Book of Parenting Solutions: 101 Answers to Your Everyday Challenges and Wildest Worries. You can also refer to my blog, Dr. Borba’s Reality Check for ongoing parenting solutions and late-breaking news and research about child development. 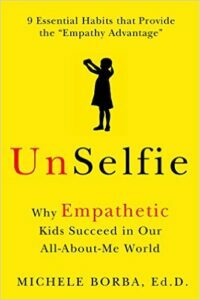 My new book, UNSELFIE: Why Empathetic Kids Succeed in Our All-About-Me World will be in print June 2016. My goal is to create a conversation that makes us rethink or view of success as exclusively grades, rank and score and includes traits of humanity! It’s filled with common-sense solutions based on the latest science to help us raise compassionate, caring, courageous kids. 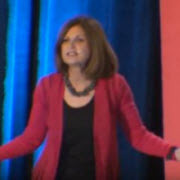 It’s time to include “empathy” in our parenting!